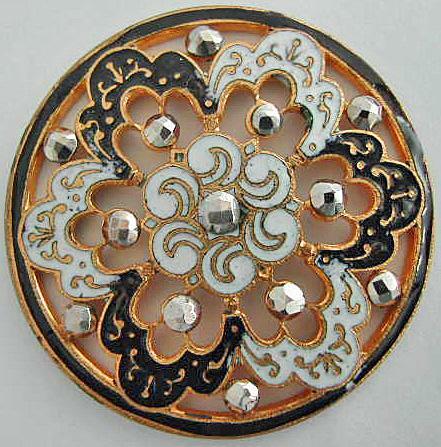 Beautiful antique pierced enamel button, in white and black enamel, and with riveted cut steels. See other picture for the back of the button. I believe it is cloisonné enamel. This button is in superb condition.